Summerfest is a success largely due to the community's participation through volunteering, donations, and sponsorship. Below are local businesses that have joined our team as well as people who have generously donated money. We are also seeking volunteers for many activities spanning the whole weekend. Check out our online needs list and join the team! If you are strapped for time, please consider making a donation to keep Summerfest funded this year and for coming years. 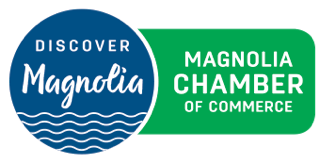 This is Magnolia's largest community event and we'd love to have your involvement. Thank you for your donation! Thank You to 2016 Donors!